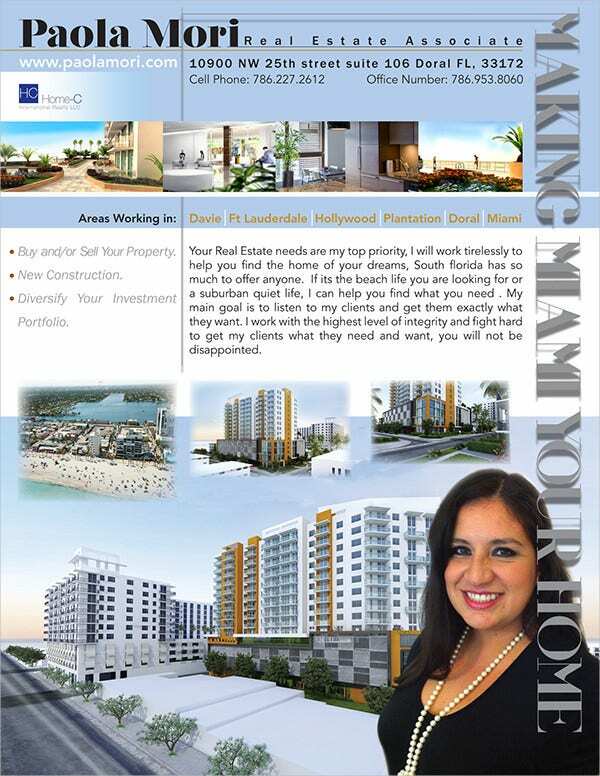 Real Estate is one of the most competitive industries out there. An effective use of marketing tools is essential for finding success in it. 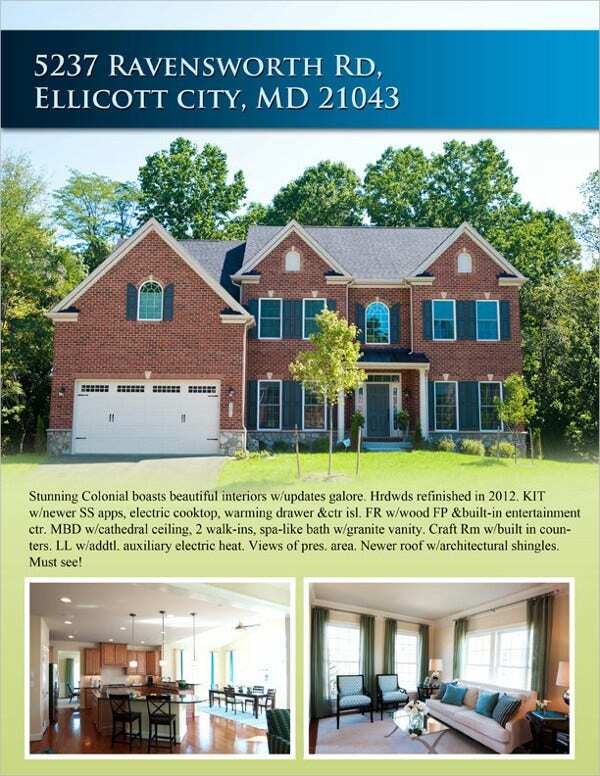 Flyers are one of the best-used marketing strategies in real estate. 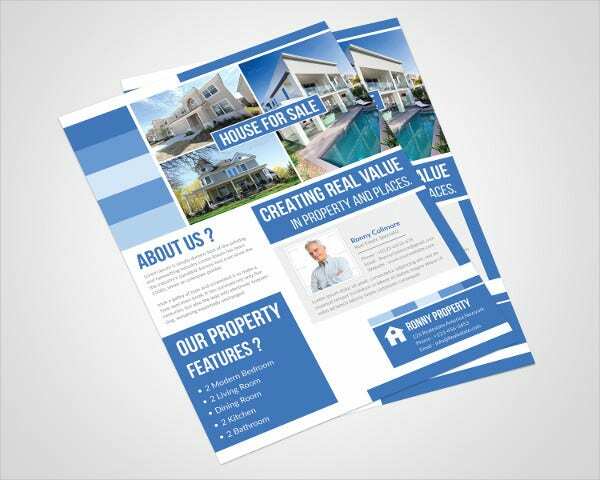 Make use of our pre-designed handpicked real estate Flyer Templates to save time and money. 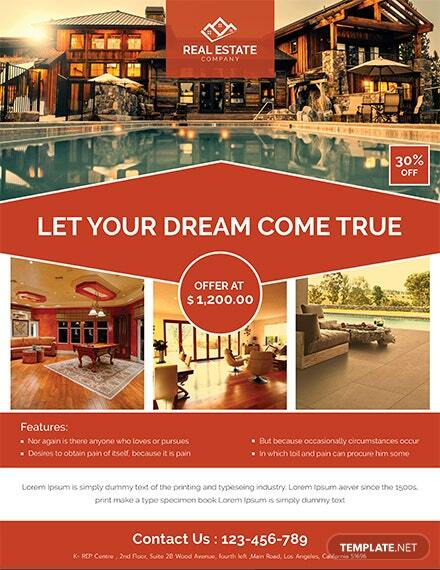 This Elegant Flyer costing $6 has sections to showcase different views of your properties. 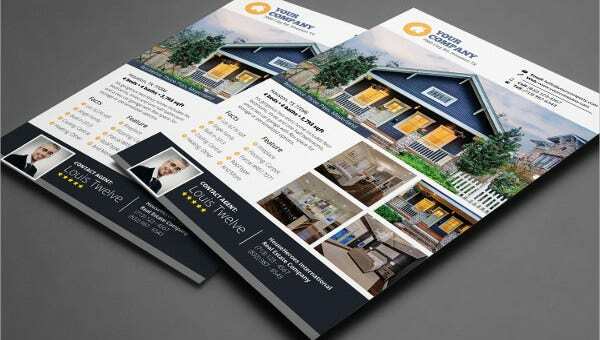 It features high resolution (300 dpi), print-readiness, CMYK, 4 color variations, free fonts, full PSD, etc. 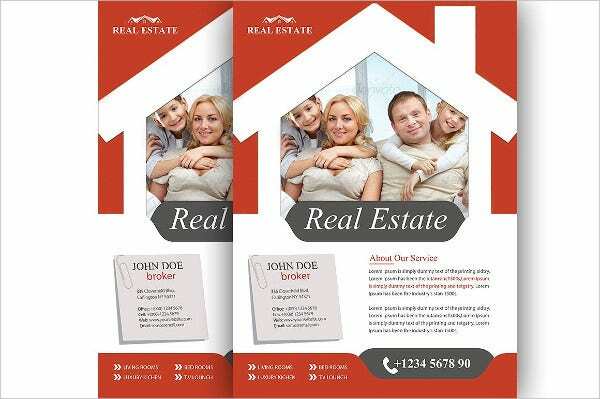 This Real Estate Brochure and flyer template suits property sale, real estate project, and property business or rent. It features 300 dpi, CMYK, A4 size, a fully customizable design, and is ready to print. It costs $6. 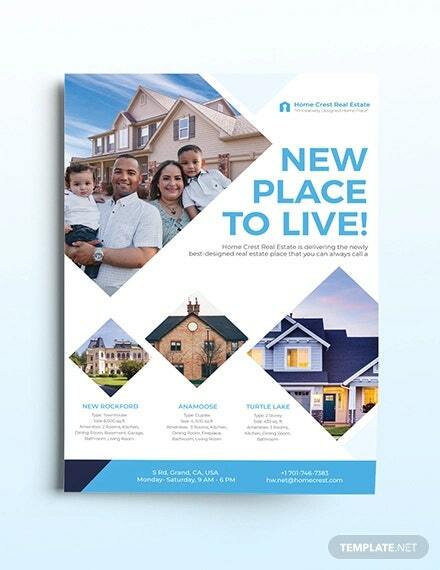 This creative real estate flyer costs $8 and comes in 5 design layouts. 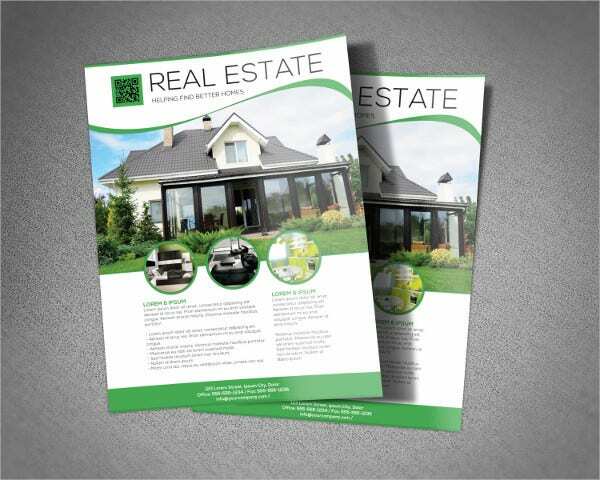 It features A4 size, 300 dpi resolutions, CMYK color mode, editable texts, and PSD format. 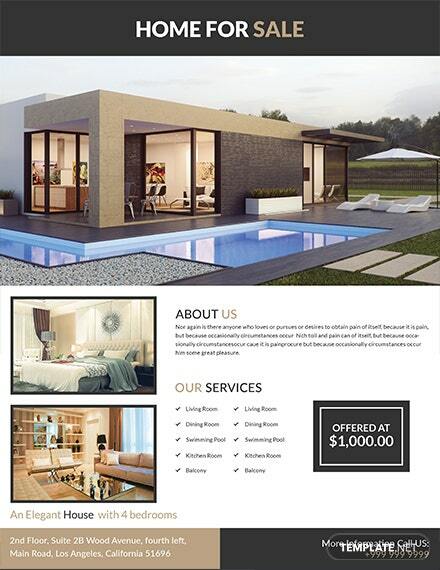 This Real Estate Marketing Flyer in PSD costs $12.50. 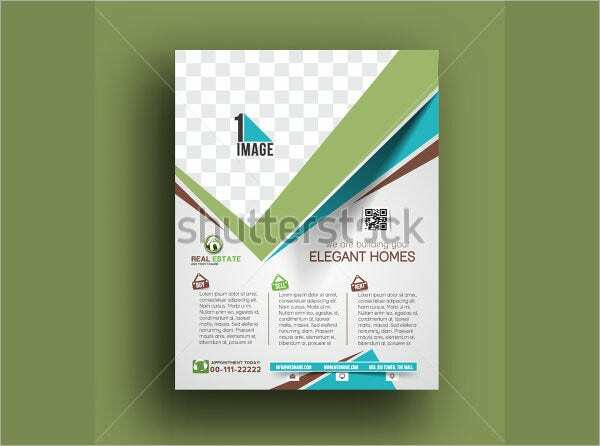 It features well-organized layers, fully editable design, easy customization, is easy-to-use, print-readiness, high-resolution (300 dpi), and CMYK. 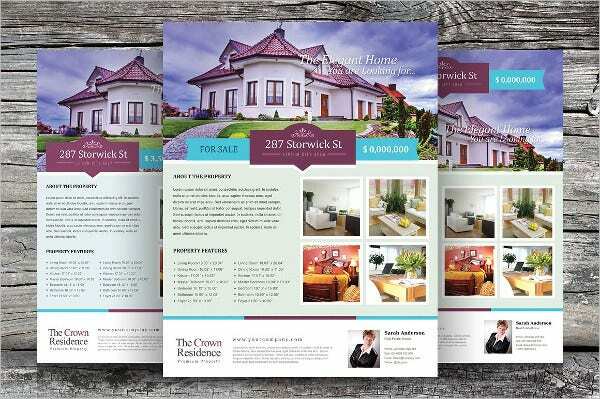 This tri-fold real estate flyer of A4 size is available for free download. Its high-resolution version is also available in different sizes to suit your project requirements. 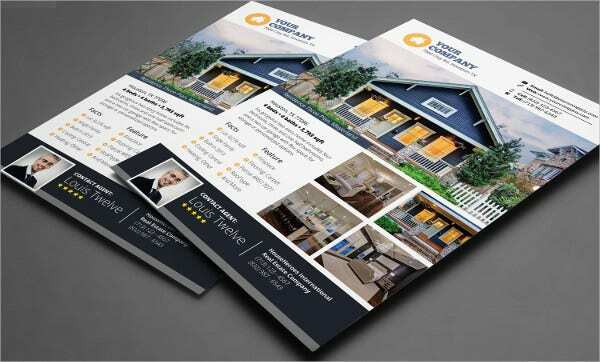 This elegant and easily customizable PSD flyer costing $6 has sections to present your properties. 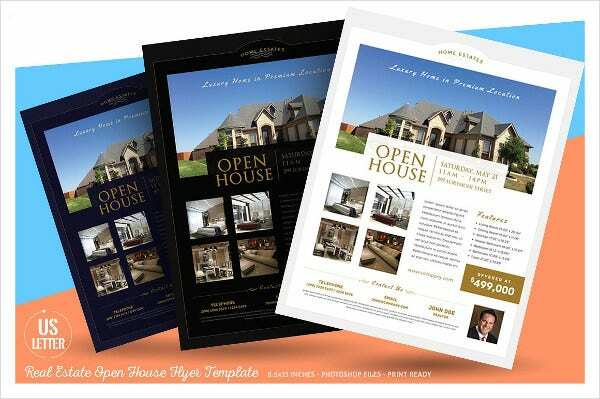 It features high resolution (300 dpi), print-readiness, 8.5×11” dimension, CMYK, 4 color variations, free fonts, etc. 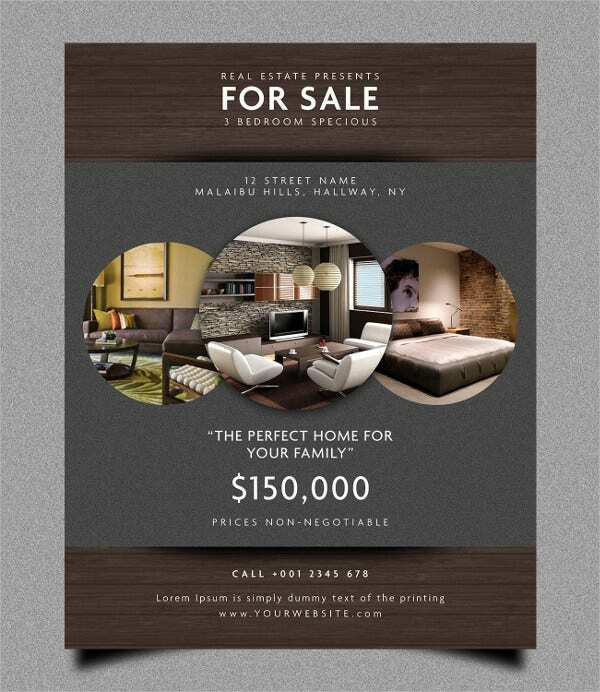 This beautiful handmade flyer costing $85 has sections to present your properties. 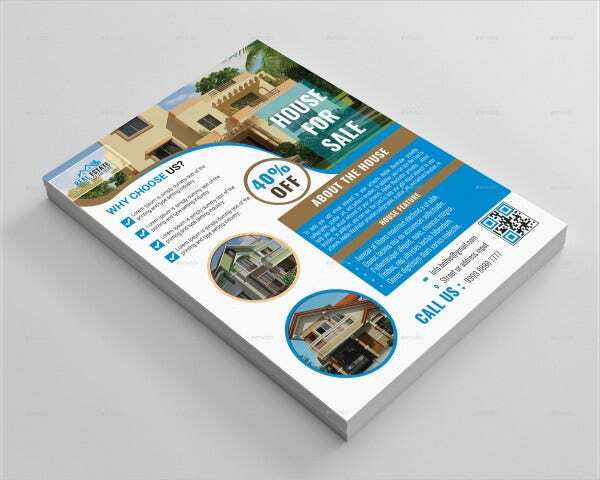 This made-to-order flyer is fully customizable and easy to use. You can easily download the customized digital file. 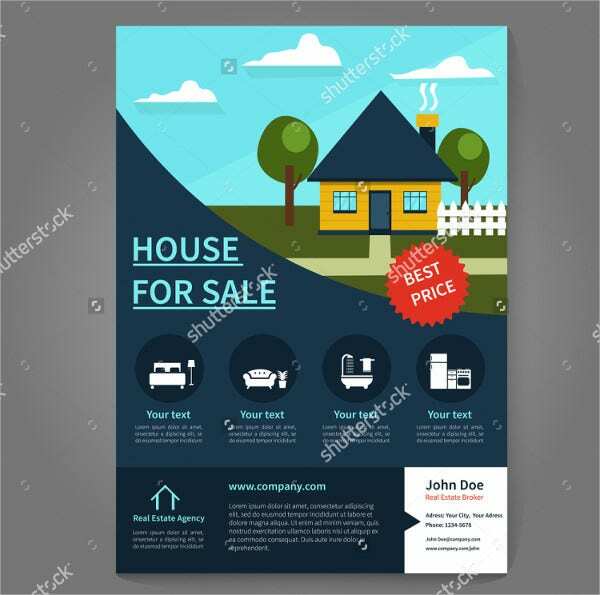 This is a soft colored real estate agent poster and flyer template available for free download. 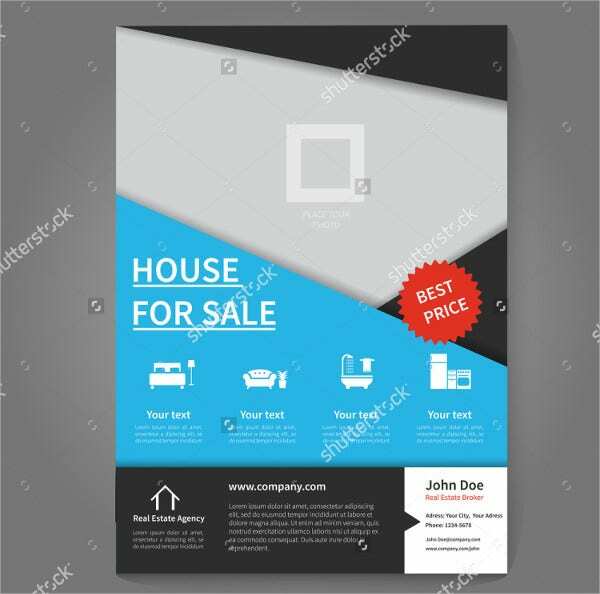 Its high-resolution version is also available in different sizes to suit your project requirements. 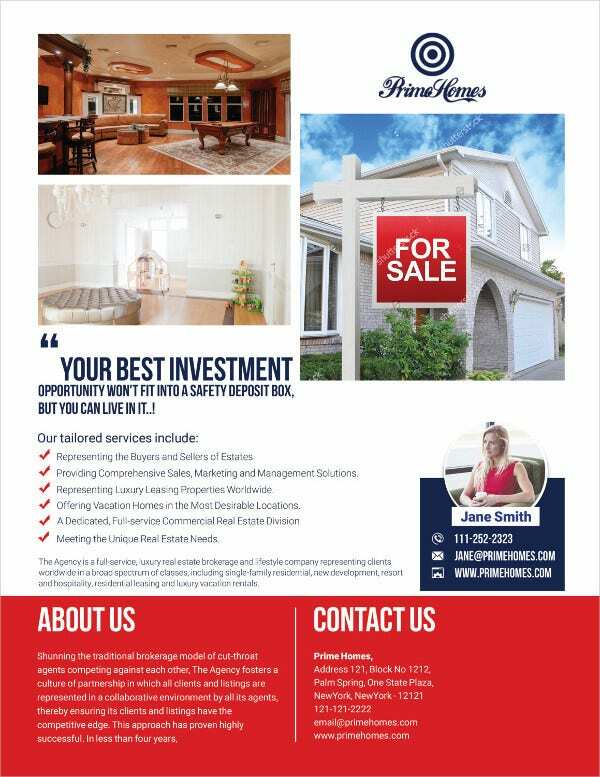 Costing $6, this clean-looking flyer template in red and white is for real estate brokers. 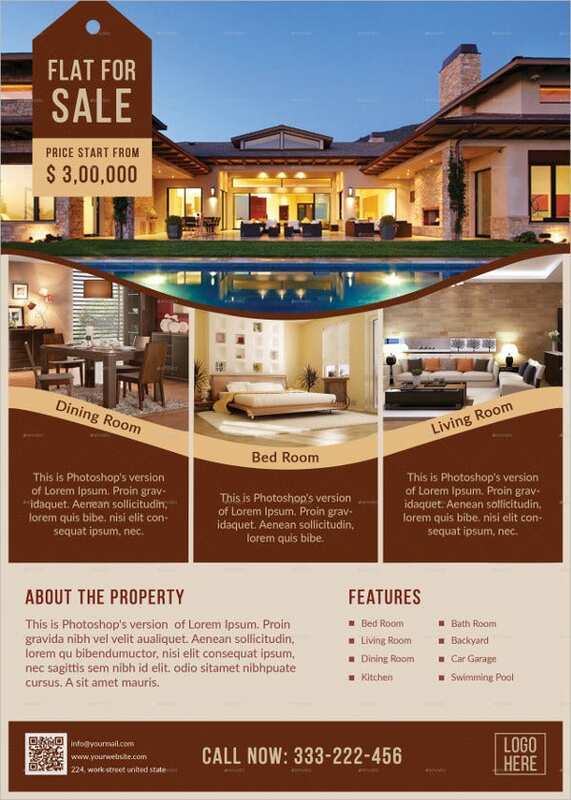 It facilitates the inclusion of photograph, contact details, real estate services provided, etc. 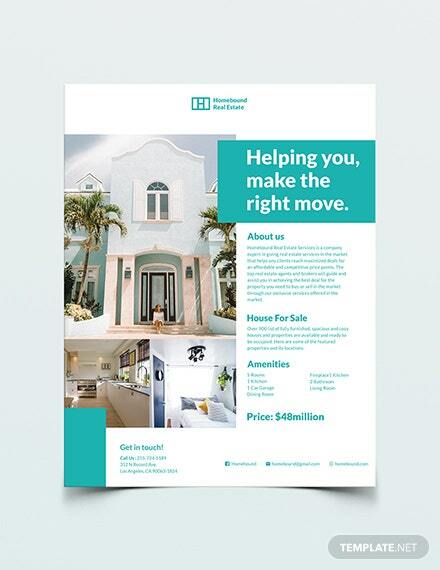 Available for $6, this beautiful and professional looking flyer template has sections for showcasing your properties, accommodating contact details, about us, and services. It features easy customization, CMYK, and 300 dpi. 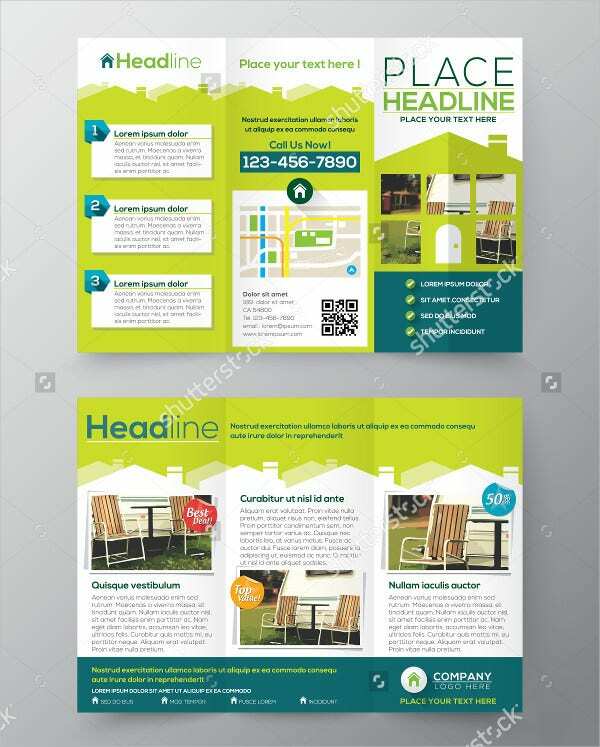 Costing $6, this template comes in three color variations and two sizes viz. US Letter and A4. 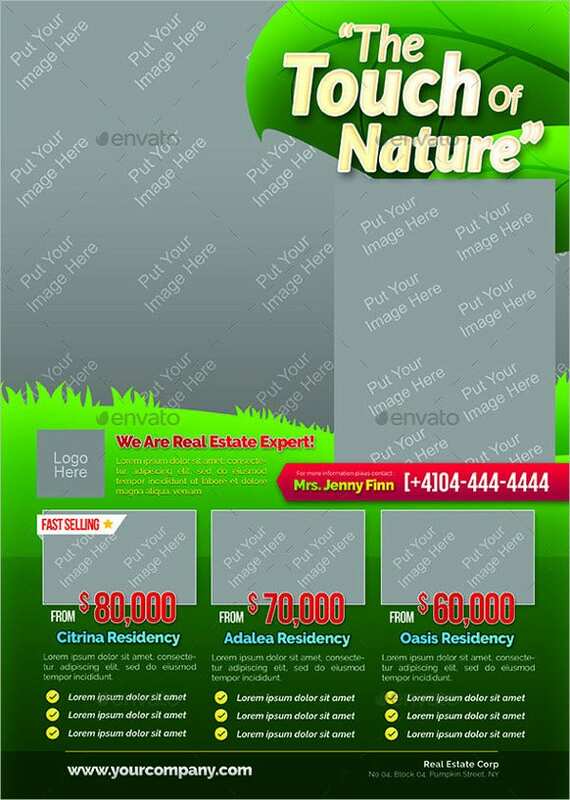 This layered PSD file is fully editable, of high-resolution (300 dpi), and has CMYK. 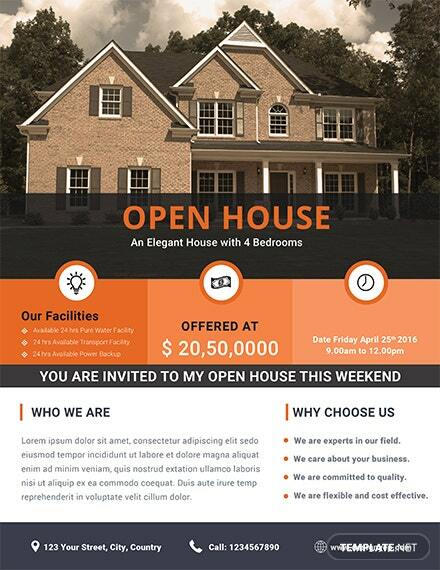 This professional and modern flyer template costs $7. It features 8.5×11” dimension, 0.25 inches bleed, 300 dpi resolutions, and CMYK color mode. It accommodates 1 small and 4 big photos. 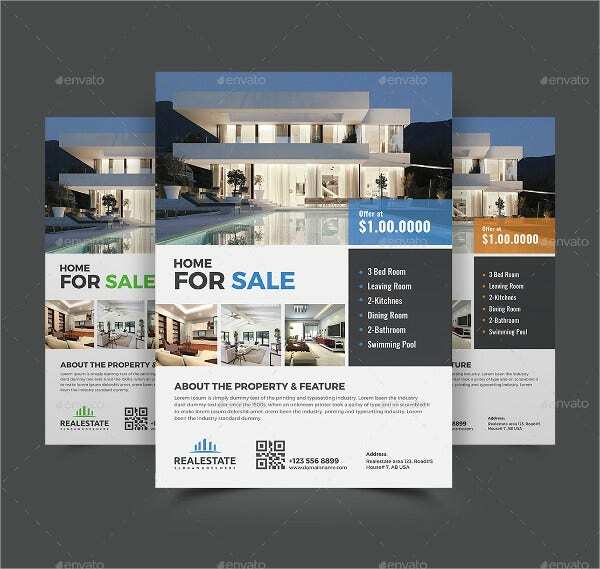 This real estate broker poster and flyer template with several icons is available for free download. 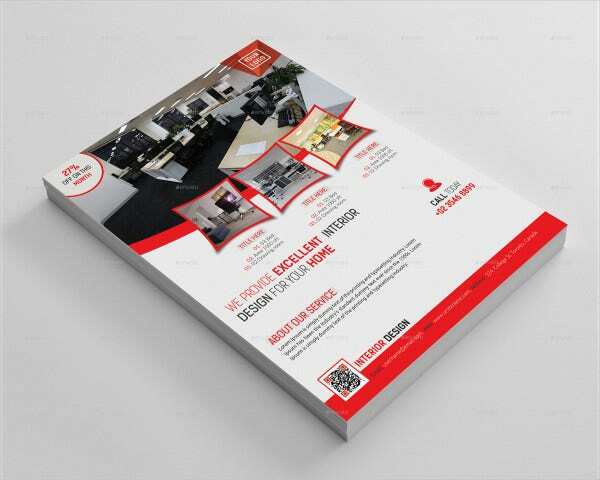 Its high-resolution version is also available in different sizes to suit your project requirements. 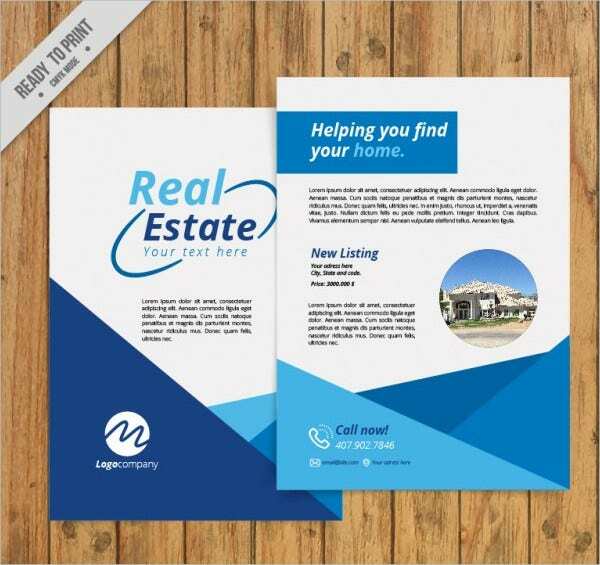 Our collection of Real Estate Flyer Templates can serve as real estate agent flyers, open house flyers, realtor or agency flyers, house for sale flyers, agent or broker flyers. 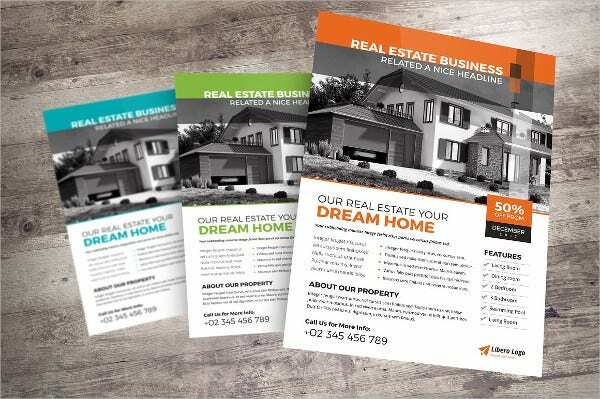 Choose the right flyer to showcase your properties and services effectively and be on the road to success in the real estate industry!